Wedding PR: Catersource, Travel Channel, AllSeated, and more! Happy (almost) April! 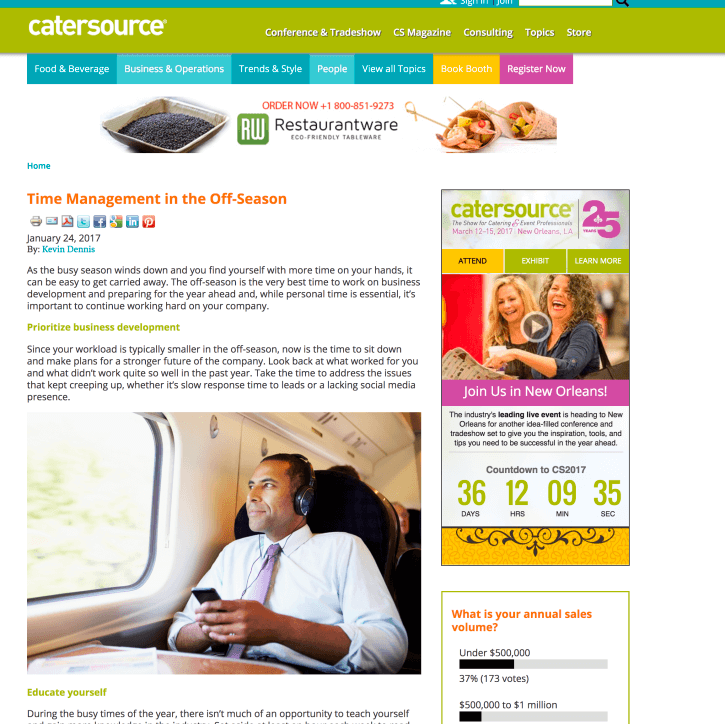 This week, we’re serving up an exciting batch of client features, including Catersource, Travel Channel, AllSeated, and more! Keep scrolling to check it all out. Destination Weddings Travel Group was featured on Catersource with their article, What to Expect in 2017 Destination Weddings. See the full article here. Lady Marry, Passport to Joy, Cocoon Events Management Group, Be Photography, and Rochelle Cheever Photography were featured on Travel Channel with their feature, 8 Apps and Tools for Planning Your Destination Wedding. See the full feature here. Belladeux Event Design was featured on AllSeated with their article, How to Balance Wedding Planning With Your Full-Time Job. See the full article here. 100 Candles was featured on Social Tables with their article, Event Design Ideas: 6 Ways to Incorporate Candles at Your Next Event. See the full article here. Fantasy Sound Event Services was featured on Social Tables with their article, Event Crisis Management: 5 Tips to Help Event Planners Bounce Back. See the full article here. Taylor’d Events Group was featured on Social Tables with their article, Building Successful Relationships Between Event Professionals. See the full article here. Sunshower Photography was featured on Borrowed & Blue with their feature, White & Pink Celebration in North Carolina. See the full feature here.